In the last two issues, we discussed who pays for the defense of a lawsuit against the dealership. 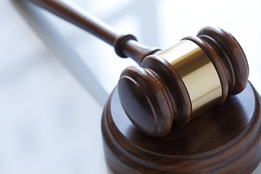 Your insurance coverage can be invaluable if you face a serious lawsuit. A recent case issued by a federal appeals court, however, clarifies that actual notice of service of a lawsuit must be sent to the insurance company. Here is what happened. A company got notice of a claim by a letter from an attorney for the claimant. It forwarded the letter to its insurer. However, when the insured was actually sued, it did not forward a copy of the summons and complaint to the insurance company. It apparently assumed that the insurance company was on top of the matter and had notice. Claiming it had no notice of the actual litigation, the insurance company did not arrange for a defense, and a default judgment was entered. Once the insured learned of this, its insurance agent contacted the insurer which hired an attorney who sought to vacate the judgment, but the court refused to do so. The result: a $5 million default judgment against the insured. As we noted recently, once coverage comes into play, a declaratory judgment action is the means for a decision. The insurance company followed that route, and it sued for a declaratory judgment that it owed nothing to the insured. It contended that the default was the insured’s fault because it failed to follow the policy’s notice requirement when it received service. Like most insurance policies, this one required that an insured provide notice “as soon as practicable” once a lawsuit is served on it. Even though the insured notified its carrier of the claim when it received an attorney letter, the court found, failing to notify of the service of the actual lawsuit was the fault of the insured. Because of the insured’s failure to comply with the policy, the insurance company was prejudiced because it could not negotiate or litigate a different result than the $5 million judgment. The lesson is clear. Even though you think the insurance company knows about a potential claim, if you are sued, and you receive a lawsuit, make sure that you forward that to your insurance company. That is the only way you can avoid giving your insurance company an “out” from its indemnification obligations.